We have a nice little backyard, but with the dog, the huge cherry tree attracting birds, and our blatant disregard for yard work, our backyard can get wild looking. 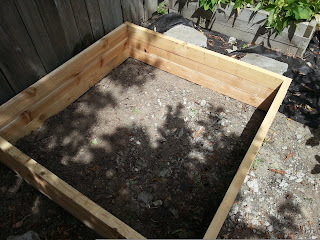 To help fight back the wild nature of our yard, and help us in our never ceasing quest for the least amount of yard work as possible we buit a bunch of raised garden beds. 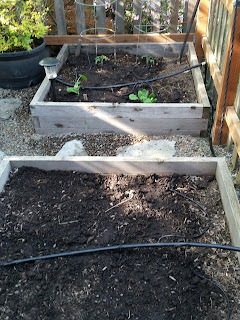 The raised garden beds are really nice! They are a contained space to weed and mulch. The beds are a little off the ground so they are easier to get out. They look good, I mean really swanky. 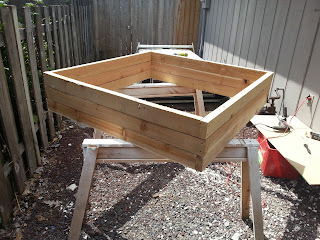 Plus, the garden beds were cheap to make! So here is our lovely garden beds planted May 2nd, 2015. They are all ready to go! 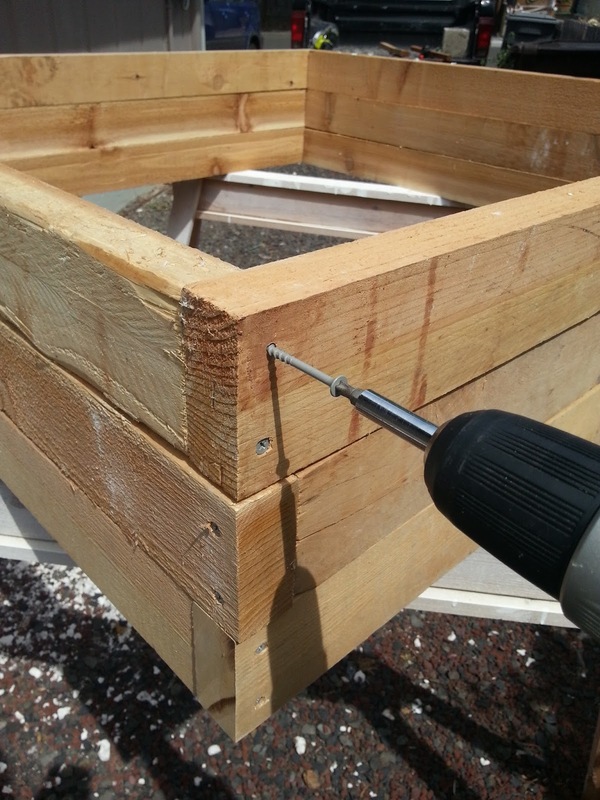 To get started making the garden beds, you need to gather your tools. 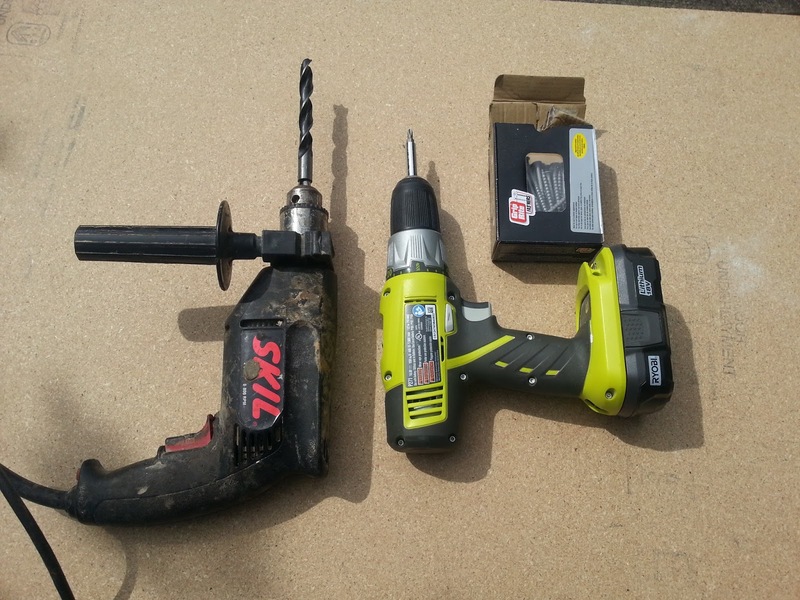 We used to screw guns. One that was lighter and easier to handle to put the screws in, and a heavy duty plug in screw gun to pre-drill the holes. 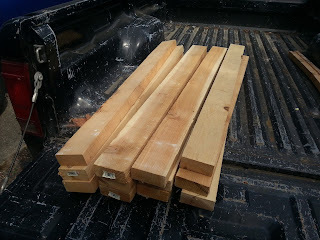 To save costs, we got 8 foot boards and had Home Depot cut them in half. 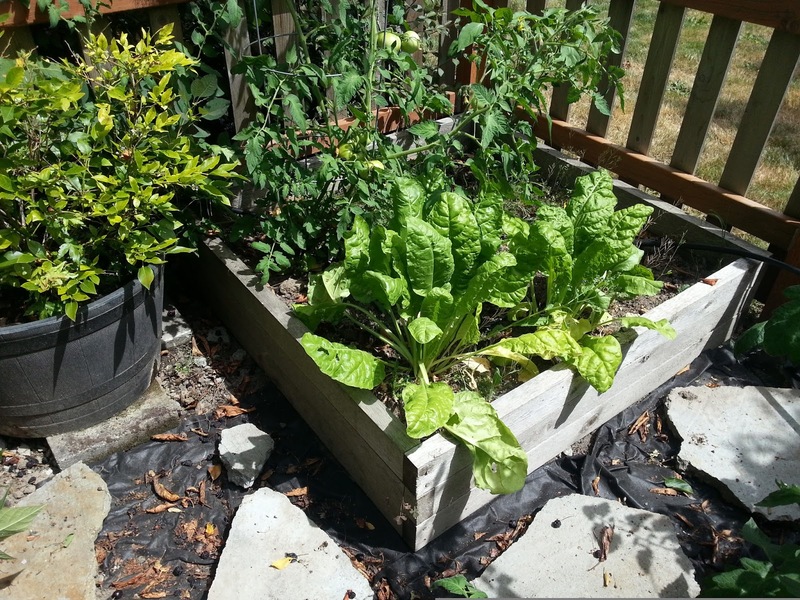 Each garden box takes 6 boards. The boards cost about $7 each. So you are looking at a cost of $42 in wood alone. 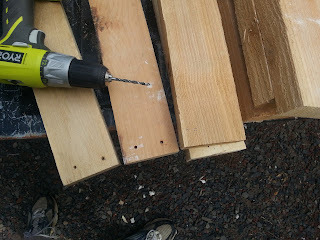 We pre-drilled two holes on the ends of each board. You can drill holes on one end of all the boards really fast at one time. We were actually building 3 boxes at once, so it was really nice to get them all done ASAP. 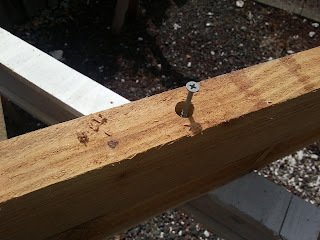 We used 3 inch outdoor screws to hold the boards together. 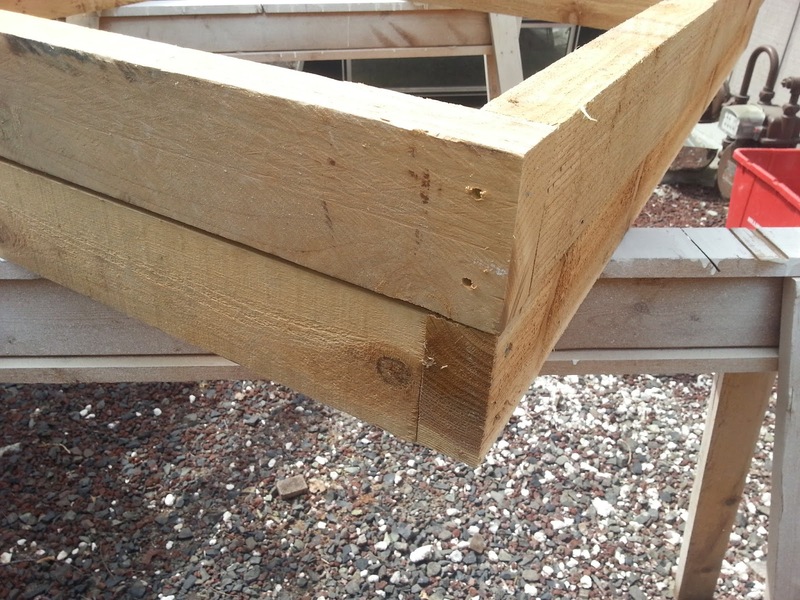 With 2 on each end, it made each square really secure. You want to make the next layer of squares. 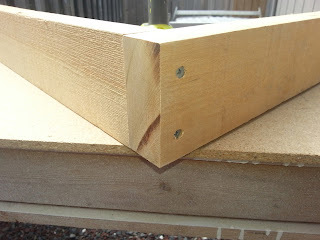 However, when you do this, take some care to "switch" the end pieces. What I mean, is that you don't want the ends to all be the same, you want them to look staggered like puzzle pieces. By putting the screws in on the different sides, it helps stabilize the box, make it less likely to fall off on the ends when full of dirt, and looks nice! After you have two squares done, you need to attach them together. 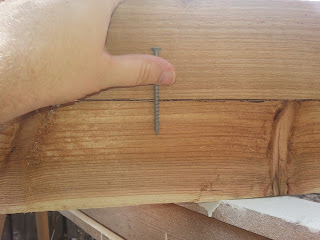 We got out the big screw gun again and drilled a hole about half-way down one board. Then you drop in the outdoor screw and drill it down to the bottom square to attach it. We did this on each side. 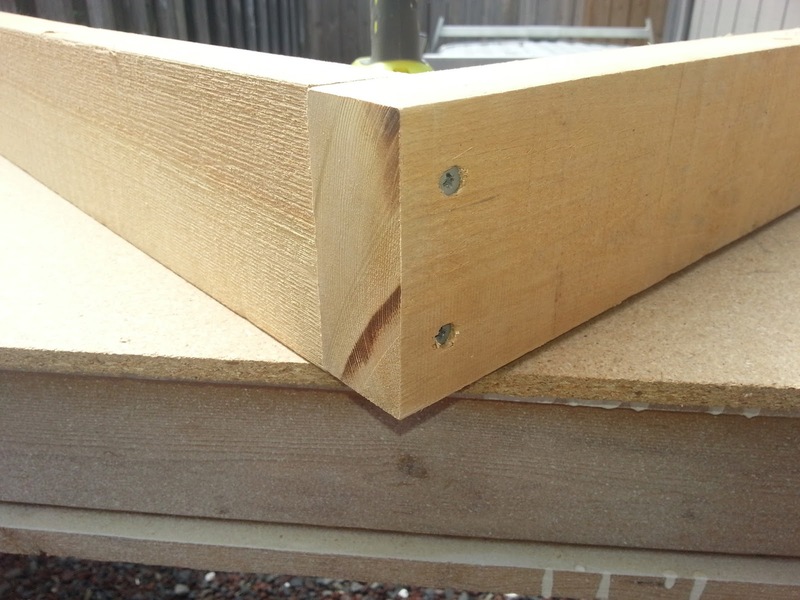 A finished box, up on the saw horses. Once the box was made, we took it around back. We laid it flat on the ground and did not put anything underneath it. I did push the dirt around to level the box. 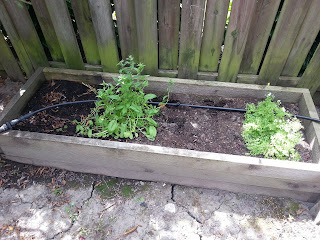 We filled the box with garden dirt from our local dirt and mulch guys. A hard yard of dirt in our truck filled the 2 boxes the first time. The boxes do settle so you might want to top them off, or fill them much higher than you think. All planted last year and ready to go! We also made a long think box for a smaller space. So we have had three of the garden boxes for two years, one garden box for one year, and then we just put out the last one this past month. Its nice, even though the boxes are years apart, they still al math nicely. People can't tell which ones are the much older or newer. Well the newest still has a little more weathering needed. :) The boxes are nice, and help me to keep the weeds done. Also, we just leave them uncovered all winter and rip out all the weeds in spring. Next year, I am going to add some fertilizer to the dirt. We have been pushing the boxes hard with plants each year and I want to make sure the soil stays good. 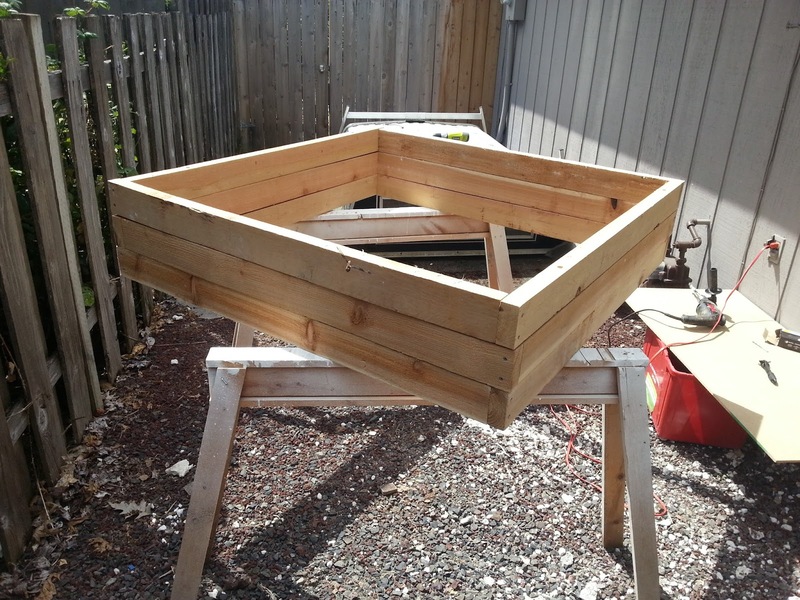 Love the raised planter boxes. Our son and daughter-in-law use these for their veggie garden in Albuquerque. Our granddaughters love them. Only suggestion I have - from experience doing many volunteer projects, I found that using star-tip screws with a smooth shank at the top are better screws than the Phillips-head screws. 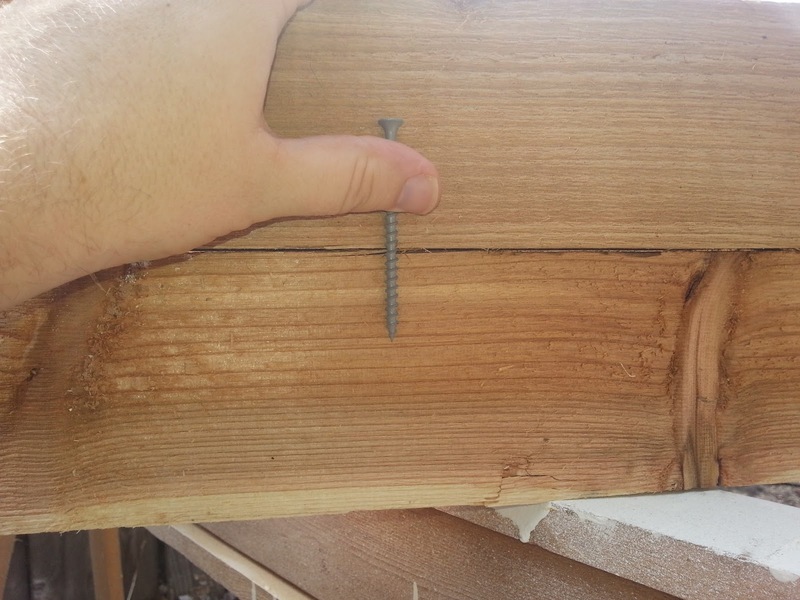 The star-tip pull your boards together nicely and don't slip as often as the other screws do. My husband buys the kinds we like at Lowes.